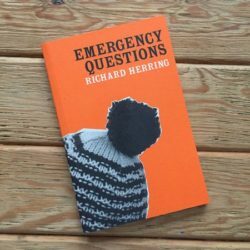 We’re delighted that Richard Herring has been nominated for a Chortle award for a book we designed for him (and Go Faster Stripe) last year. The book was ‘Emergency Questions’ (available from GFS), containing 128 pages and over 500 emergency questions. 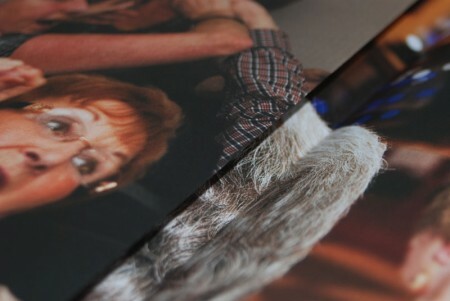 Over the past couple of months we’ve been working closely with Russell Roberts (Reader in Photography at the European Centre for Photographic Research at Newport), Ffotogallery, Gomer and artist Peter Finnemore on a new, three part, box set, limited edition, blind debossed, bilingual publication. 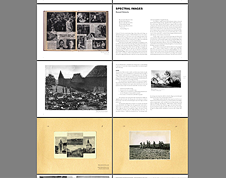 The publication accompanies an exhibition which investigates british documentary luminary Humphrey Jennings‘ wartime film, The Silent Village, a moving and surreal recreation of the Nazi Lidice atrocity transposed to (and performed by) a South Wales mining community (Cwmgiedd near Ystradgynlais). The publication includes new work by Peter Finnemore and Paolo Ventura, a short story by Rachel Trezise and essays by Russell and the late film historian David Berry. The book launch is tonight (10th Feb) at Turner House, Penarth. More on the ffotogallery website. UPDATE: the publication is now available on amazon.co.uk – order The Silent Village on amazon . A quick note that Ffotogallery are to hold their second Book Arts Fayre this Saturday, March 28th at Turner House Gallery, Plymouth Road, Penarth CF64 3DM, from 11am to I don’t know whenish. We’re sharing a stall with Gallery 39 in Cardiff, so if you’re in the area and like to browse an artist’s book or two, pop in for a chat. 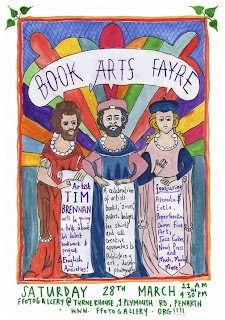 There’s also a talk by artist Tim Brennan (who’s currently exhibiting at Turner House) on his recent publication ‘English Anxieties’ plus a load of stalls, zines, other diverse activities and some cake. There’s more info on the Ffotogallery blog. As part of Ffotogallery’s Book Arts season, (which included an excellent Artists’ Book Fair at Turner House in Penarth, near Cardiff) I was asked to deliver a short course introducing staff and volunteers at the gallery to print design, and specifically book design using Adobe InDesign. 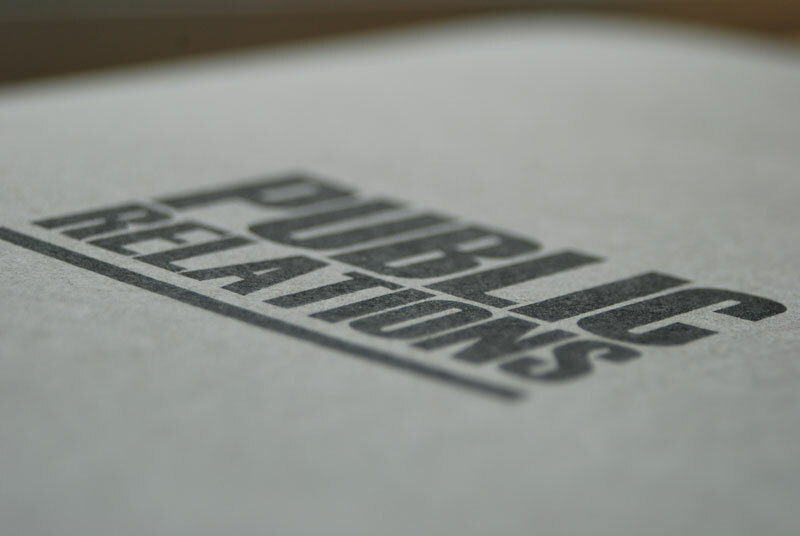 The course ran over four days in December 2008 and comprised a fairly basic introduction to using InDesign in print projects as well as a more comprehensive look at book design. In keeping with the ethos of the artist’s book we tried to encompass very DIY ways of making books as well as how to get books printed using commercial printing services. We’ve uploaded the slides for each day below, as well as our ‘recommended reading list’ for print design and book design. Underneath that there’s a list of links to useful sources of further information. Stock Suppliers – There’s lots of stock suppliers in the UK, some useful ones for getting hold of swatch books include PaperCo and Robert Horne. Font Identification Services – I find identifont the most useful – you answer a series of questions about the font (or not if you only have a limited character set in front of you) and get rewarded with one or more ‘best guesses’. There’s also MyFont’s What the Font? service – you upload a jpg or gif image of the font. I’ve never used this one so don’t know how useful it is. Book design, printing, grid systems – About.com has a good introduction to page impositions and Wikipedia have quite a useful (if incomplete) section about book design. For grid systems still the best series of articles on the web is Mark Boulton’s simple steps to designing grid systems. The New York Times’ Book Design Review is great on a regular basis too. Fonts and Typography – Personal favourites are: I Love Typography; The Elements of Typographic Style (Robert Bringhurst’s book applied to the web). The My Fonts newsletters and interviews with typographers are quite useful too. For about six months now we’ve been working on a great project which has thrown up some very interesting, if problematic design challenges. 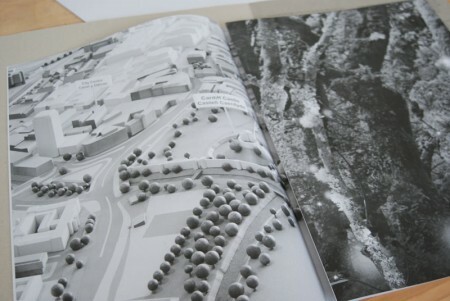 The project is an international, trilingual (English, Welsh and French) book called Crwydro / Marcheurs des bois. The book documents an exchange between west Wales based artists collective ointment and Boreal Art/Nature, who are based in the wilds of Quebec. 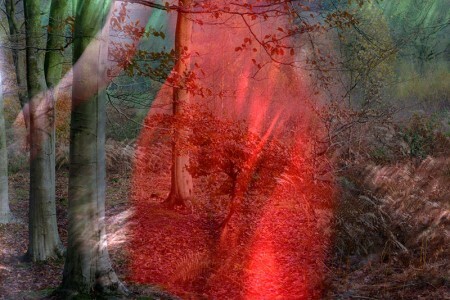 The exchange involved two residencies: one in the stunning, moss covered Ty Canol woods near Pentre Ifan in Pembrokeshire in a balmy April; the other in the ice-bound frozen landscape of Reserve Faunique Rouge Matawin, Quebec, in February. The book gives the projects a new dimension, continuing some of the discussions begun during the residencies and enabling the artists to revisit and reflect on their various working processes. One thing we’re very pleased about is the book format, which avoids standard practice for artist’s catalogues, instead opting for a pocket sized, 112 x 180mm. Shrinking the format necessitated an increase in the page count and, at 116 pages there’s plenty of room for an exchange of views. We’re hoping to go to print early in February and will, of course, post details as soon as the publication is ready.